The Cooking Actress: Chocolate Chip and Peanut Butter Truffle Swirled Cookies and KRISTINA & KAYLE'S CHRISTMAS COOKIE EXCHANGE! 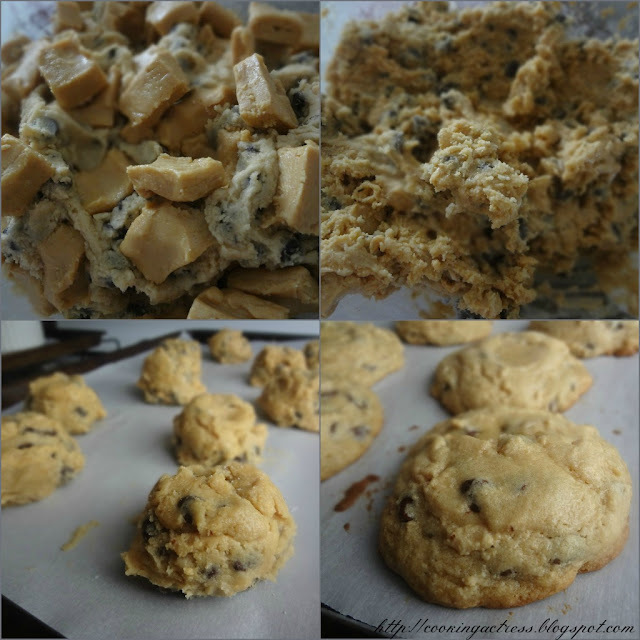 Chocolate Chip and Peanut Butter Truffle Swirled Cookies and KRISTINA & KAYLE'S CHRISTMAS COOKIE EXCHANGE! Ah December. This entire month is pretty much just about Christmas for me. In my head it's Christmas Christmas all the time! And living in New York City, the decorations are on par with my thoughts. Now, as I'm sure you've noticed I love cookies. Another awesome thing about this season. 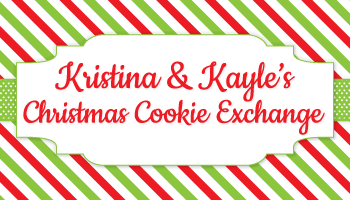 Kristina and Kayle's Christmas Cookie Exchange! As you guys know, Kristina (of Whipped Baking) is my girl. And she and I were like, "Um, let's get everyone together to cyber-share their favorite cookie recipes!" Because we're (ok, it was Kristina's idea, I just jumped on board enthusiastically) brilliant like that. So, starting today, December 5th, Kristina and I invite ALL OF YOU to join our Christmas Cookie Exchange! 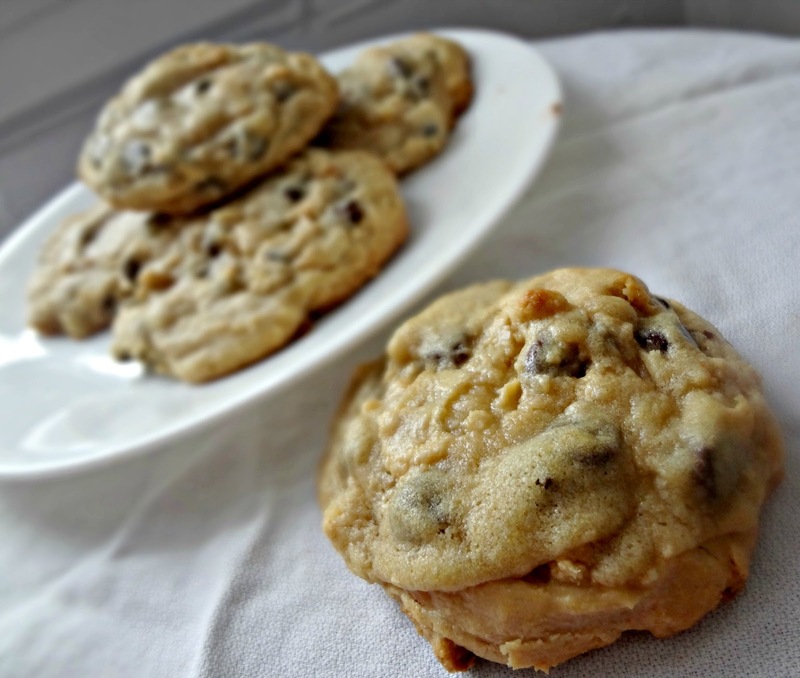 We want you to bring your favorite cookie recipe and link it up at the bottom of either my post below or over on Kristina's yummalicious blog to share your favorite recipes. 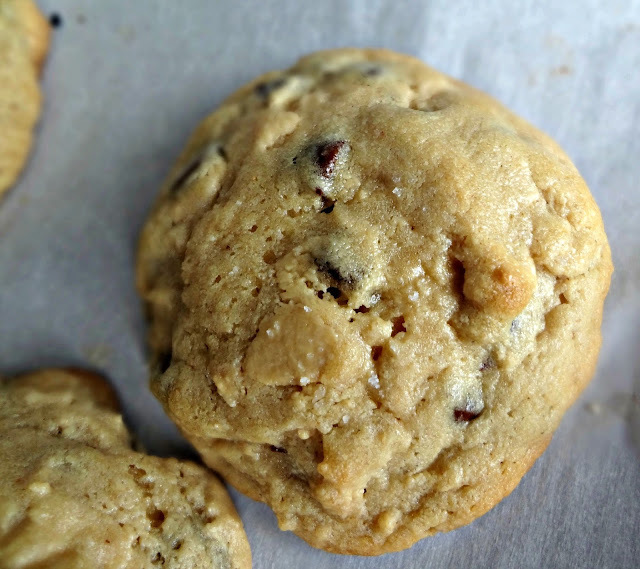 Kristina and I are blogging a couple of our own cookie recipes today, so make sure to check hers out too, after you're done here! *Cheesy announcer voice* But wait-there's more! 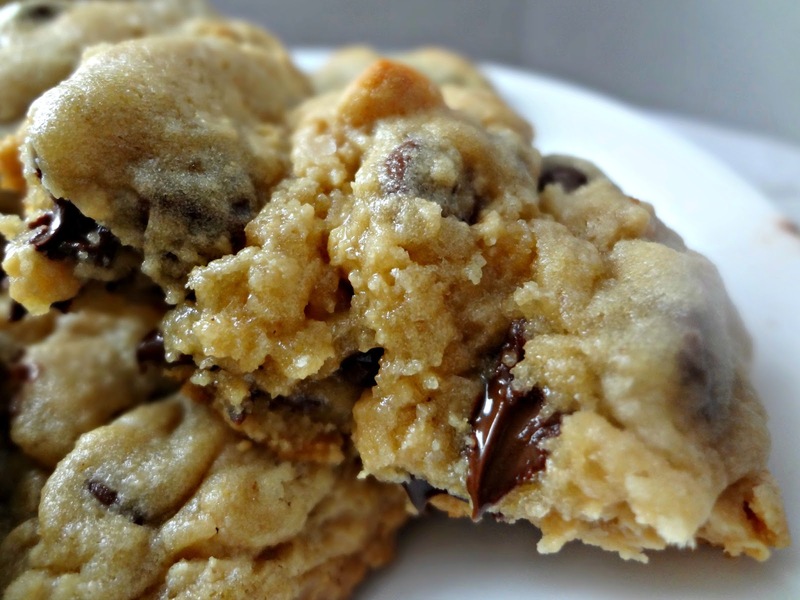 Not only do you get tons of wonderful cookie recipes, there's also a priiize up for grabs! After you've all linked up your tastiest cookie recipes we're going to vote! And the winner gets (in addition to Cookie Queen/King bragging rights) a $10 Starbucks Gift Card! Voting begins on December 13th and ends December 15th (then the winner will be announced December 16th)! 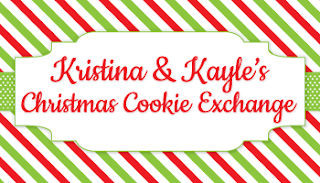 Today (December 5th) starts Kristina & Kayle's Christmas Cookie exchange! Enter your favorite cookie recipes by linking up your cookie posts to either the bottom of my post here or over at Kristina's blog, Whipped Baking. You can use new or old posts as long as they're delicious cookies! December 10th a very special cookie related GIVEAWAY! December 13th starts the voting period where you all can vote on your favorite cookie recipe. You can vote by coming back to this post and clicking the 'vote' button below the individual pictures. Voting ends December 15th at 11:59pm. December 16th we will announce the winner of the Cookie Exchange Contest who will receive a Starbucks Gift Card for $10! And we'll also announce the winner of Monday (Dec. 10th)'s giveaway! We'll also totally remind you on the 13th that it's time to vote, so don't worry about trying to remember! Don't have a blog? 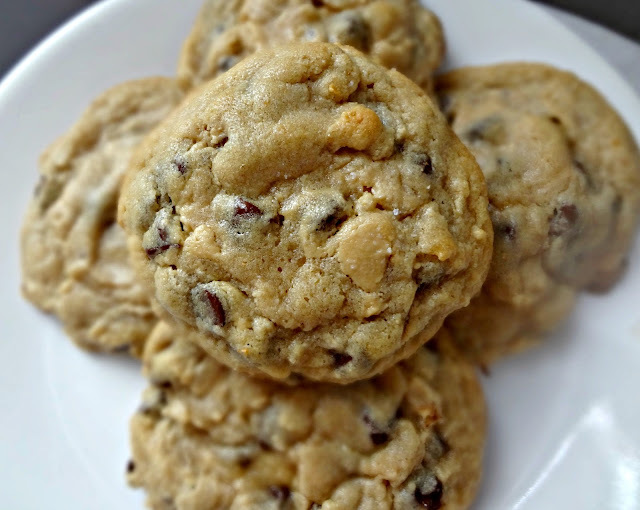 Send Kristina a pic of your favorite cookie and the recipe to her e-mail, kristina.whippedbaking@gmail.com, and we'll share your pictures on our Facebook pages! Unfortunately you are not eligible for the gift card (because we have no way of voting for your recipe) but we would LOVE to be able to share your yummy recipes too! Makes 2-4 dozen cookies (depending on size). Line an 8 x 8 pan with aluminum foil and coat in cooking spray. Mix peanut butter and powdered sugar together. Press into the 8 x 8 pan. Freeze for at least 30 minutes. Preheat oven to 350 degrees. Prepare baking sheet(s) with parchment paper/silpat. In a large bowl (or stand mixer bowl), cream butter and sugars together. Beat eggs and vanilla in. In a separate bowl combine flour, salt, and baking soda. Slowly add to the wet ingredients, with the chocolate chips, and mix together until just combined. Remove peanut butter truffle pan from freezer and cut into cubes (and/or tear apart). Freeze truffle chunks for 10 minutes. Add chunks of peanut butter truffle to dough and mix just a few turns on low speed-you want there to be swirls and chunks throughout dough, not for it to be fully incorporated. Scoop cookies (I used my large scoop but you can use whatever size you prefer, just keep an eye on baking time) onto baking sheet(s), leaving enough space between cookies. Sprinkle tops of dough with a little bit of kosher salt. Bake 9-13 minutes, until cooked to your preference. Cool on sheet for 10 minutes, then transfer to wire rack or tablecloth, etc. to cool completely. And enjoy the ooey gooey, peanut butter swirled splendor! Disclaimer: The prize is provided personally by Kristina, no compensation is being received. We are not liable for technical failures or typographical errors, or resolving identity disputes related to the winner.VOID WHERE PROHIBITED BY LAW.